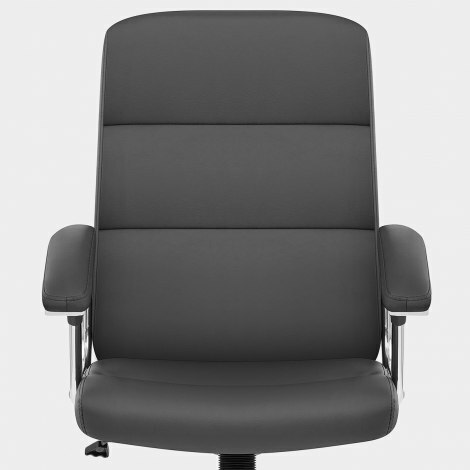 The Stanford Office Chair Grey is an executive model with ergonomic functionality that is ideal for a home office. Endlessly adaptable and incredibly supportive, the Stanford is a retro inspired design that will not disappoint in your interior. Comfortably padded, the stylish seat is upholstered in grey faux leather and has a high segmented backrest with additional lumbar support. Also padded are the two supportive chrome armrests, which taper down slightly at the front to help them tuck neatly under the desk. Set on a 5-spoke nylon caster base in matching polished chrome, this offers optimum mobility in addition to 360 swivel for effortless rotation. 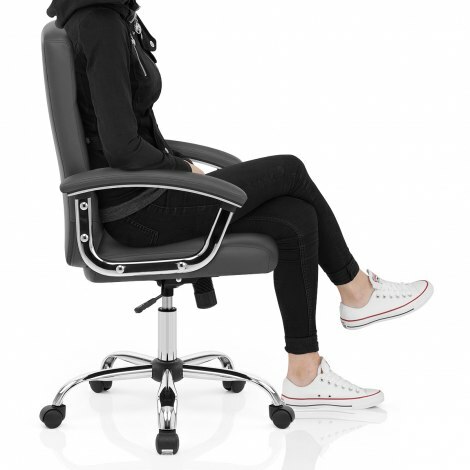 Allowing you to customise the chair to your individual requirements, there is a locking tilt function alongside a state-of-the-art gas lift mechanism for variable height. 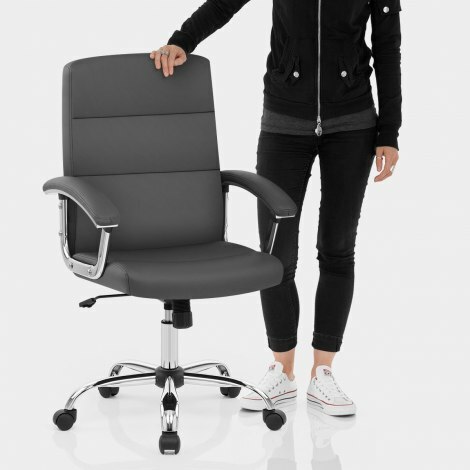 "Chair is super comfy and easy to assemble"
I chose this chair as it goes up higher than most and I wanted grey. It was easy to assemble with the key provided and it's a great colour. Very comfortable. Nice quality comfy chair, the grey is a nice shade and compliments my office desk well. Really pleased with new office chair. Looks great with our new grey painted oak office furniture. Really happy with my purchase, the chair is super comfy and easy to assemble. Delivery was great and would definitely recommend to others. Easy to assemble, strong construction and pleasant finish. Feels good so far! And fast delivery.